And, any parent will tell you — babies don’t quite get it either. “Six hours’ sleep for a man, seven for a woman, and eight for a fool,” Napoleon famously prescribed. (He would have scoffed at Einstein, then, who was known to require ten hours of sleep for optimal performance.) This perceived superiority of those who can get by on less sleep isn’t just something Napoleon shared with dictators like Hitler and Stalin, it’s an enduring attitude woven into our social norms and expectations, from proverbs about early birds to the basic scheduling structure of education and the workplace. The disconnect between our internal, biological time and social time — defined by our work schedules and social engagements — leads to what Roenneberg calls social jet lag. Another factor contributing to our social jet lag is Daylight Savings Time. Even though DST’s proponents argue that it’s just one small hour, the data suggest that between October and March, DST throws off our body clocks by up to four weeks, depending on our latitude, not allowing our bodies to properly adjust to the time change, especially if we happen to be later chronotypes. The result is increased social jet lag and decreased sleep duration. Whether you love the temporal manipulation or believe it to be a sin against Nature, practical applications of DST have been controversial from the beginning of…well, time. Time itself — at least, as we humans practice it — began with the ancient Egyptians. What’s that? You were not aware that Time as we know it is a human invention? Ah, but it is! Nearly 3,000 years would pass with everyone tickled pink with their particular calendar before someone, another Egyptian most likely, thought to put a stick in the ground to invent the first clock. Can’t say as I blame them. I would have delayed discovery of minute-to-minute timekeeping as long as possible, too. So, toss out your Timex. Smash and bury your day planner. Burn all the calendars. In short, remove from the planet all artificial devices which are used to measure Time, and where, then, is your precious Time? Indeed, it is precisely because Time is of human invention that we are able to manipulate it with DST. It’s hard to believe that only about a century ago most towns in this country had their own time. The hands of the clock in the town square would be synchronized with cosmos, “high noon” being established when the sun being at its highest point for the day. But owing to technological innovations (particularly the railroads, whose schedules of arrival and departure times required greater temporal uniformity) and enhanced interdependencies between social members, “standard time” emerged. This replacement of local time- reckoning with supralocal standards of time marked a fundamental change in our relationship to time: human activity was to be increasingly oriented to social as opposed to natural times. Take a look at WebExhibits Calendars Through the Ages for “the fascinating history of the human endeavor to organize our lives in accordance with the sun and stars. Even though human activities have become increasingly divorced from the natural rhythm of day and night, society still often specifies that certain things should be done during certain times of the day. Consider, for instance, our temporal socializations during the school day. Students are taught that certain subject matters are to be studied during specific times of the day. “Johnny, put away those crayons! Art time is over and math time has begun.” Querie: Are there certain times of the day when we are best able to do math, social studies, music or art? Consider looking at the mean grades given to students who take the same course with the same instructor but at different times of the day. Much of our lives is centered and structured around a weekly pattern. Indeed, as Pitirim Sorokin observed, the week is “one of the most important points in our `orientation’ in time and social reality.” As children, we learn the meaning of the weekend before we learn the meaning of a month. There are clear phenomenological differences between Friday time and Monday time; we are not biologically hardwired nor naturally triggered to feel knotted stomachs on Sunday evenings. Individuals vary considerably in terms of their preferred times of the day. Originally, Ancient Egyptians daylight saving time was as simple as adding a couple of extra minutes to everyday hour of light in a 24 hour day. Contrary to popular belief, Ben Franklin did not invent Daylight Savings Time. Daylight Saving Time (DST)—the resetting of all clocks twice a year—was first proposed by New Zealand entomologist George Vernon Hudson in 1895, for quite selfish purposes. He was studying daily cycles in insects and wanted to be able to do more of it during daylight hours. But his idea of maximizing daylight soon spread. But the idea of Daylight Savings Time as we know it first required the standardization of time itself that came with the introduction of the railroads and their need for fixed schedules. However, in 2008 a survey was done of Indiana power consumption both before and after the adoption of DST. The US state of Indiana has 92 counties, but until 2006 only 15 of them adjusted their clocks for daylight saving time, with the remainder keeping standard time all year, at least partly to appease farmers who did not want the change because of the cows. When the milking machines get attached to their udders a whole hour too early, the otherwise placid bovines on dairy farms around the United States will snort in surprise and dismay. They may give less milk than usual. They could even take days or weeks to get used to the new milking schedules. We are no different. This unique situation enabled professor of economics Matthew Kotchen and his PhD student Laura E. Grant, both from the University of California at Santa Barbara, to study how the adoption of daylight saving affected energy use. The result of the study showed that electricity use went up in the counties adopting daylight saving time in 2006, costing $8.6 million more in household electricity bills. Power consumption after DST adoption actually increased, primarily in the late summer/early fall as more heating was required in the morning and there was still some need for cooling in the afternoon. The overall cost to the Hoosier state was estimated to be $9 million, with an additional $2 million to $5.5 million in pollution costs. On the basis of a traffic analysis made by means of the multiple regression method, it has been shown that the daylight saving time applied in summer months, causes a rise in evening traffic and creates an increase in fuel consumption and hence a higher pollution level in the atmosphere resulting from the products of fuel burning (NOx, volatile organic compounds). “Daylight saving is still a boon to purveyors of barbecue grills, sports and recreation equipment and the petroleum industry, as gasoline consumption increases every time we increase the length of the daylight saving period. Give Americans an extra hour of after-dinner daylight, and they will go to the ballpark or the mall — but they won’t walk there,” says Michael Downing, a teacher at Tufts University. Losing a single hour may seem trivial in the scheme of things, but medical researchers have spent a good amount of time investigating some of the health consequences of switching to daylight saving time. While most of us won’t be hooking ourselves up to udder pumps, our bodies will experience a disturbance very much like the cows’ – one that can affect our mental and physical health. Every cell in our bodies contains a biological clock which coordinates the events in those cells—for example, when gene transcription turns on and off, or when specific proteins are made. When we are exposed to a light-dark cycle that is different from what we experienced the previous days, some types of cells synchronize to the new environmental cycle faster than the others. Chronobiologists who study circadian rhythms know that for several days after the spring-forward clock resetting – and especially that first Monday – traffic accidents increase, workplace injuries go up and, perhaps most telling, incidences of heart attacks rise sharply. Cases of depression also go up. As the faint light of dawn starts preparing our bodies for waking up (mainly through the rise of cortisol secretion), our various organs, including the heart, also start preparing for increased function. Our internal clocks, in fact, can be traced down to the genetic level, with individual “clock genes” and, most prominently, the suprachiasmatic nucleus, or SCN — a small region in the brain’s midline that acts as a kind of “master clock” for mammals, regulating neuronal and hormonal activity around our circadian rhythms. Cells in our eyes, for example, may adjust in about a day, while cells in our brains take a couple of days. Cells in the digestive system and liver may take weeks. 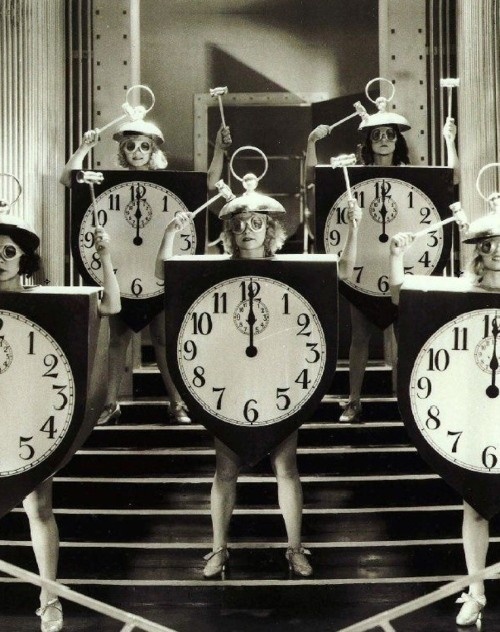 So, for weeks after the DST clock change, our bodies are like a clock shop in which each timepiece cuckoos at a different time of day—a cacophony of confusing signals. Waking up when it’s still dark for hours confuses your brain: You’re up and going about your morning routine — but your body and brain think you should still be sleeping. “That’s why it’s particularly important to expose your eyes to light first thing,” Shelgikar says. If you’ll still be rising before it’s light out after we turn our clocks back, she advises to turn on the lights right after waking up — don’t tiptoe around your house in the dark! Our bodies are constantly being pulled apart by conflicting demands of the natural ‘sun time‘ and culturally imposed ‘social time‘. People living in urban areas may be better shielded from the sun time than their rural counterparts, because of artificial lighting and the skyglow it produces, but nobody is completely isolated from its influence. Twelve noon according to the clock is not twelve noon according to the planet. Citizens of Barcelona and Bucarest are almost two hours apart in their perception of sun time, yet live in the same social time—the same time zone that encompasses most of Europe. And, we don’t just lose an hour of sleep when the clocks change for daylight saving time we lose real money, too. In recent years several studies have suggested that daylight saving time doesn’t actually save energy—and might even result in a net loss. SleepBetter.org has developed what it calls the “Lost Hour” economic index showing that moving the clock ahead Sunday will produce a $434 million hit to the U.S. economy. The company looked at how individual U.S. cities were affected as well. Whether or not DST saves energy is the least of the reasons why it’s a bad idea. If young people’s psychological and emotional well-being isn’t incentive enough for policy makers, one would think their health should be. The only benefits that can conceivably attached to Daylight Saving Time would seem to be ones that cannot be quantified, such as the psychic benefit of having daylight last longer into the late afternoon/early evening, meaning that people have more time after normal work hours for outdoor activities. This entry was posted in Uncategorized and tagged ancient egypt, children, CNN, Daylight saving time, Daylight Savings Time, DST, education, egypt, enlightenment, environment, George Vernon Hudson, Harvard, health, ils.tv, Indiana, nature, Pitirim Sorokin, Science, The Young Turks, United States, universal, WebExhibits. Bookmark the permalink. the theme/design), I don’t have time to browse it all at the minute but I have book-marked it and also included your RSS feeds, so when I have time I will be back to read a lot more, Please do keep up the superb job. It’s not my first time to pay a visit this web page, i am browsing this website dailly and take nice facts from here daily. I just like the valuable info you supply on your articles. I’ll bookmark your blog and take a look at again here frequently. I am slightly sure I’ll be informed a lot of new stuff right right here! Best of luck for the following! It’s really very complicated in this active life to listen news on TV, thus I just use internet for that purpose, and take the newest news. previous to and you’re simply too great. I really like what you have received here, really like what you are saying and the way in which in which you say it. You are making it enjoyable and you continue to care for to keep it sensible. I can not wait to learn far more from you. This is actually a tremendous site. Hello there. I’m wondering if you’d be interested in doing a website link swap? I notice your website: http://roxcell.wordpress. com/2013/03/12/even-cows-dont-like-daylight-saving-time/ and my blog are centered around the same topic. | Hermetica Health when I was surfing around delicious. so much they decided to bookmark it. I’ll certainly be coming back here more often. Hello very cool blog!! Man .. Excellent .. Wonderful .
. I’ll bookmark your site and take the feeds also? I am happy to find so many useful information right here in the submit, we need work out extra techniques in this regard, thanks for sharing. . . . . . Cows Don’t Like Daylight Saving Time | Hermetica Health. I do have some questions for you if it’s okay. Is it just me or does it appear like a few of these responses appear as if they are coming from brain dead individuals? 😛 And, if you are posting on other sites, I would like to keep up with everything fresh you have to post. Could you make a list of all of all your social sites like your linkedin profile, Facebook page or twitter feed? web site and at the moment this time I am browsing this website and reading very informative posts at this place. Hi everyone, it’s my first go to see at this web site, and piece of writing is genuinely fruitful designed for me, keep up posting these posts. and paragraph is in fact fruitful for me, keep up posting such articles or reviews.